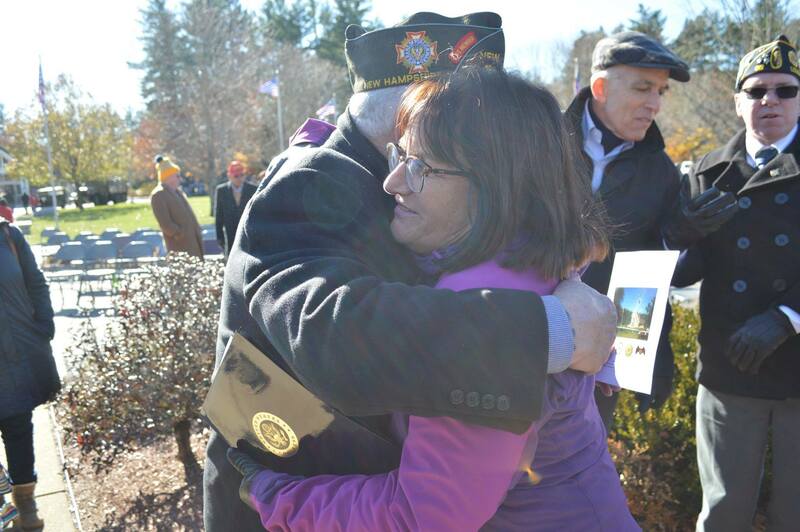 On Sunday, I was humbled to give remarks at the Veterans Day ceremony at the New Hampshire State Veterans Cemetery and express my gratitude to veterans, active duty servicemembers and military families for their incredible courage, sacrifice and patriotism. However, saying thank you is not enough. I saw my father and father-in-law struggle with the unseen wounds of war following their service in World War II, and I understand how important it is to support veterans and help make their return to civilian life easier. Through my work as a member of the House Veterans’ Affairs Committee, I will continue advocating for veterans here in the Granite State and across the country. We must do everything we can to provide our brave men and women with the services and care they need and deserve. 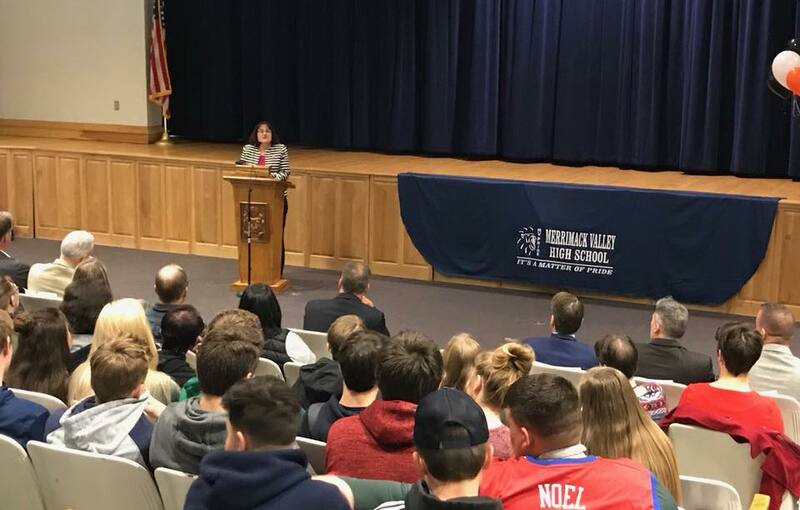 It was great to join the New Hampshire Higher Education Assistance Foundation (NHHEAF) and the students at Merrimack Valley High School on Tuesday to help kick off this year’s College Application Month. Completing a college application is an important first step in accessing higher education, which is becoming increasingly essential to competing in today’s changing economy and workforce. We must work to make higher education more accessible and affordable for all Granite State students who wish to pursue college. I am very troubled by the proposed changes to Title IX announced today by Secretary of Education Betsy DeVos. These changes will drastically undermine decades of progress designed to make our schools and campuses safer. Sexual harassment and assault are already one of the most underreported crimes in our society and creating barriers to survivors will only serve to further increase the challenge of seeking justice. I am especially troubled by provisions that permit schools to lower their evidentiary standards as they investigate misconduct claims and set an excessively high bar for defining harassment. Tragically, 1 in 6 women and 1 in 25 men will be sexually assaulted during college, and we should be strengthening rather than undermining these critical protections that help survivors seek the closure they deserve and move forward with their educational aspirations. This week it was announced that the state of New Hampshire, Grafton County, the New Hampshire Coalition Against Domestic and Sexual Violence and the Organization for Refugee and Immigrant Success are receiving grant funds from the United States Department of Justice’s Office on Violence Against Women to help support Granite State survivors and families struggling with domestic and sexual violence. I’ll continue working to combat these pervasive problems and push for a much-needed reauthorization of the Violence Against Women Act. My biggest responsibility in Congress is to serve you, the people of New Hampshire’s Second Congressional District. If you have questions, concerns, or ideas, please do not hesitate to reach out to my Washington, DC office at 202-225-5206 or my Concord office at 603-226-1002. Thank you, as always, for everything you do to help make New Hampshire such a wonderful place to call home. Have a great weekend!